This workshop is designed to introduce attendees to the Arduino Uno prototyping platform. Attendees will learn how to build simple circuits on a solder-less breadboard and program the Arduino to control those circuits. 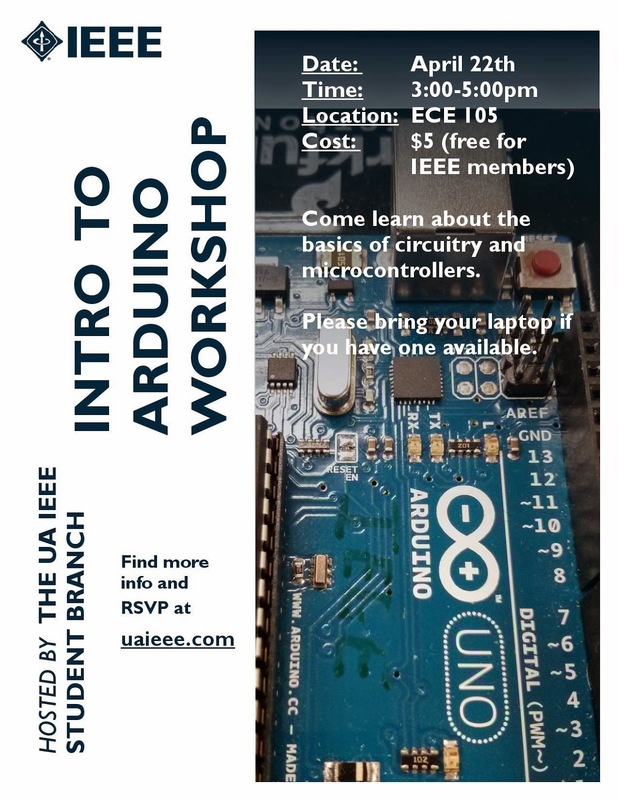 The workshop is free for UA IEEE members and $5 for non-members. If you are a non-member make sure to pay before the workshop begins. There are 10 spots total and each person will work with a partner. If you are new to circuits it is recommended that you read through the material in the following link. This information will be very useful in understanding the circuits we will be building. What is a circuit? It would also be helpful if you have some experience with the C programming language.